There are several types of archways in architecture, including gothic arches, foil arches, semi-circular arch and geometrical arches. Arches create a larger internal or external doorway for your home, and also lend themselves to a variety of door ideas. Archways can create vivid images if you use the right door. The term "French doors" is commonly used to describe any kind of two-panel door system where both doors are functional. The idea of using a door system where the doors open in the middle works right into the symmetrical design of an archway. 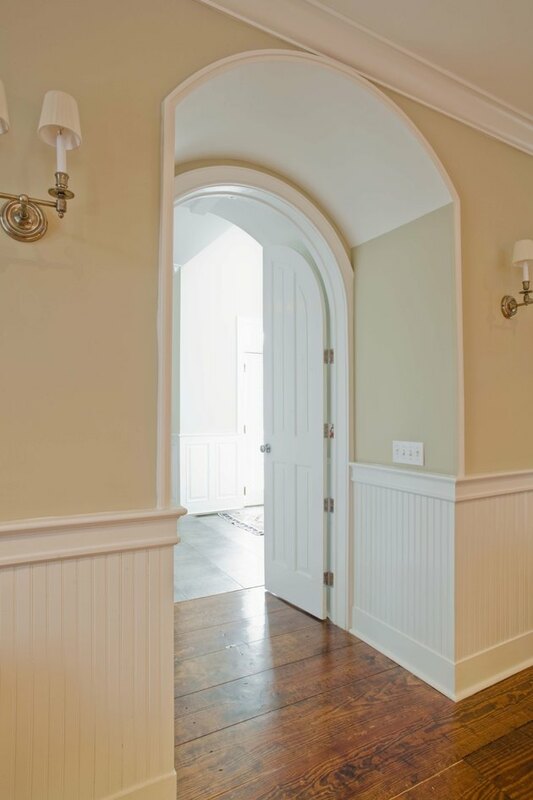 With the center of your French doors lined up in the exact center of the archway, you can give balance to your home's entrance or any of your internal arched doorways. Larger homes with arched doorways can play on the gothic look of an archway, especially if your archway entrance is made of stone or brick. You can create an entire gothic theme to the outer decor of your home by installing a large, thick wooden door under your archway entrance. It can be the centerpiece of a gothic castle-like theme. Installing doors to work well with internal archways can be challenging. One of your options is pocket doors. The pocket door is installed on tracks inside the wall and is pulled into the archway opening to close it off. A pocket door can extend from the floor to the top of the archway, which allows it to close off the entire doorway with one, uniform door panel. For internal archways, you can have the same effect as a door without the expense of installing an internal door. Thick curtains can be used as a pseudo-door for your internal archway and still offer the privacy of closing a door. Hang your curtains above the peak of the archway, and put tie-back posts on either side of the doorway so the curtains can be easily tied back when the doorway is to remain open.